Changing your own spark plugs is a rite of passage among gearheads. It shows you’re fully aware that your car needs basic maintenance to stay in tip-top shape, and that you’re ready to tackle it yourself. Congratulations if you’ve gotten this far. 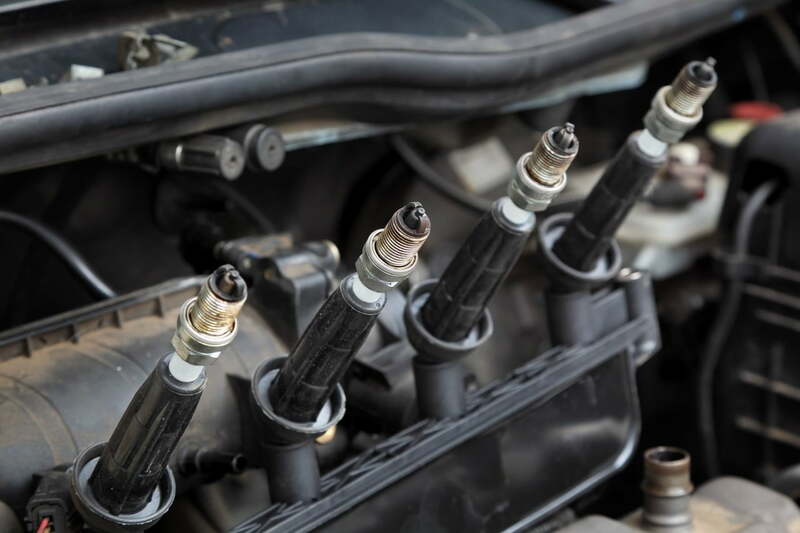 The most common reason to remove spark plugs is to replace them with a new set. However, you might want to simply check what shape they’re in before doing so, or you might need to test for spark to rule out an ignition issue. Regardless, the process isn’t as daunting as it sounds, and it’s well within the reach of a skilled DIYer. After all, a spark plug is just a big bolt that shoots out electricity. Ready? Read on for all the details. Why change your spark plugs? How often you need to change your spark plugs largely depends on the kind of car you drive and the type of plugs currently installed in your engine. Typically, replacement intervals vary between 30,000 and 100,000 miles, but check your owner’s manual if you’re not sure. 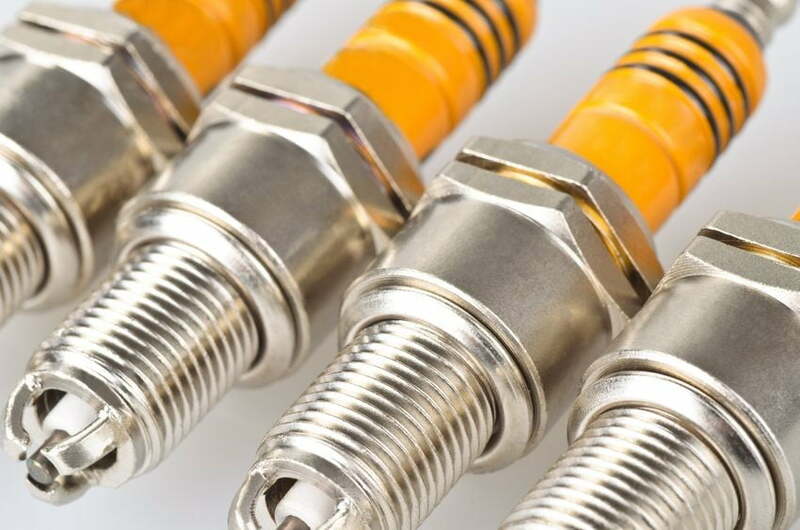 Worn spark plugs can result in poor gas mileage and a range of performance issues, notably an engine misfire, a rough idle, and hesitation under acceleration. Ultimately, your engine will refuse to start if the plugs are too worn out. The first step is to make sure your car actually has spark plugs. An overwhelming majority of them do, regardless of whether you drive a Toyota Tercel or a Porsche 918 Spyder. If your ride runs on diesel, however, it’s not equipped with spark plugs because it has a compression-ignition engine, meaning the fuel-air mixture in the combustion chamber ignites without a spark. You’ve got glow plugs, but those are a different story. Once you’ve confirmed the presence of spark plugs, you need to find them. In most modern cars, the spark plugs are located near the top of the engine, firmly bolted into the cylinder head. Keep in mind that they might be buried under a mess of wires, or hidden by a plastic cover. Subaru owners should look for the plugs on the side of their engine, as should owners of Porsche models powered by a flat-four or a flat-six. You also need to check what kind of spark plugs your engine uses, and how many it needs. Usually, the number of spark plugs is equal to the number of cylinders. If you’re driving a humble four-banger, you’ll need four spark plugs. If you’re rolling around with a V12 under the hood, you’ll need 12. That’s not always the case, however. Some engines — such as a few Mercedes V6s — use two spark plugs per cylinder. Again, consult your owner’s manual or the web to be sure. Found ’em? Good, let’s get started. 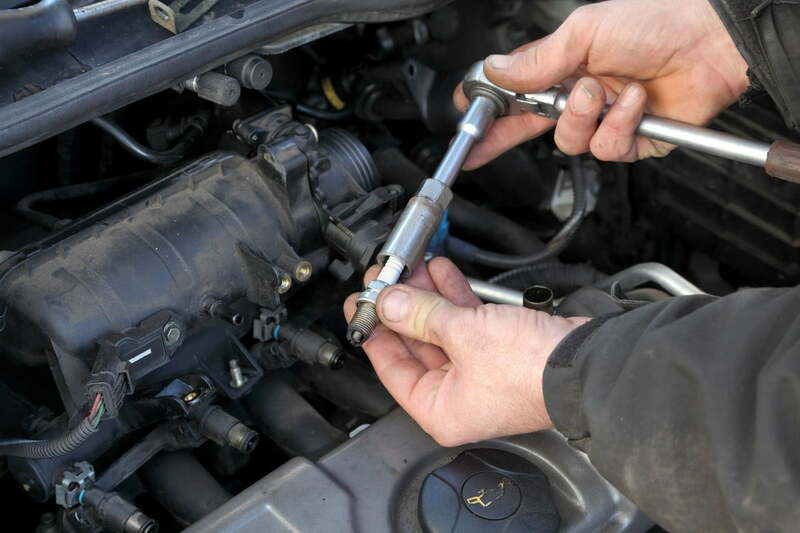 The only tools you need are a spark plug socket for removal and installation and either a spark plug or feeler gauge to ensure you have the proper gap. A ratchet is optional, and we highly recommend you either buy or borrow a torque wrench for reassembly. If you roll up your sleeves and pop your head under the hood, you’ll quickly notice either a thick wire or a coil feeding electricity to each spark plug. Many modern cars use one coil pack per cylinder, while older cars typically rely on a single coil for the entire engine. Unbolt the coil pack (or carefully pull the wire) to reveal the top end of the plug. Remove miscellaneous debris from the area around each spark plug using a clean rag or compressed air to ensure nothing falls in the cylinder when the spark plug is out. Trust us, you don’t want that. Once the well is clean, loosen the plug using the socket. Odds are it’s tight, so getting it out might require some elbow grease. This is where a ratchet will make your life easier. Remember: Righty tighty, lefty loosey. Before you attempt a three-pointer into the nearest garbage can, take a minute to inspect the business end of the spark plug; it tells you a lot about what’s going on inside your engine, especially if you’re working on an older car. If the electrode (that’s the very tip of the plug) is coated with a black substance, your engine is running too rich, which means the ratio of gasoline to air is too high. If the electrode is coated with a white substance, your engine is running too lean and the gasoline-to-air ratio is too low. Use the gauge to gap the new spark plug correctly before you install it. The gap specification refers to the space between the two electrodes. It varies from car to car, but it usually falls between 0.02 and 0.06 inches. Getting the gap right the first time saves you a tremendous amount of trouble, so ask a dealer, your local auto parts store, or Google for the correct measurement if you’re not absolutely certain. Precision is the name of the game here. You’re ready to install the spark plug once the gap is set. Assembly is the reverse of disassembly, but we recommend using a torque wrench to ensure the plug is tightened properly. Tightening it by feel is best left to the pros, because a plug that’s too tight or too loose will inevitably cause expensive, time-consuming damage. Pop the coil (or the spark plug wire) back into place, put back any part you had to remove to access the plugs, and you’re done. Now, just fire up the engine to make sure everything works the way it was designed to!